Giovanni has dual Italian and American citizenship and speaks half of dozen languages. Aside from teaching in Italy, Giovanni has spent time teaching at various levels in the French public school system. Back in the U.S., he works as a French translator and graphic designer. Giovanni’s academic interests include journalism, short story writing and storytelling. In addition to teaching a course on journaling in last year’s Cagli program, he was also the editor of the Armagh Examiner and Around Armagh, online news and information blogs created for the program InArmagh 2007. 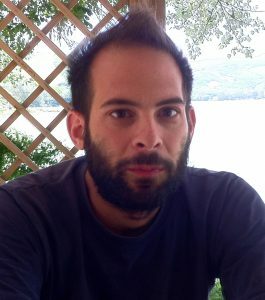 Giovanni has been with the GonzagainCagli project since 2009 and deso the layout and design of the books and program materials inlcuding posters and handbook.